Pending plans by the Canadian province of Quebec to force Internet service providers to implement a blacklist preventing the province’s citizens from accessing offshore online-gambling sites have hit a serious wall, following the issuing of a statement by the Canadian Radio-Television and Telecommunications Commission [CRTC] that the planned blacklist is a violation of Canadian federal law. The involvement of the CRTC in the Quebec situation was inevitable given the conflict between the “Bill 74” rules as passed by Quebec, under the heavy push of the province’s state-run lottery operation, Loto-Quebec. Both the lottery and the province’s government seek to block Quebecois’ access to offshore sites, thereby forcing online gamblers to patronize Loto-Quebec’s services, and thus generate more revenue for the government. The problem is that such a mandated blacklist not only violates the free-speech aspects of Canada’s constitution, it also attempted to override Canadian federal law that grants all regulatory control to the CRTC and other federal agencies. Back in July, the Public Interest Advocacy Centre of Canada [PIAC] filed the first challenge to Quebec’s plans, when it submitted a formal complaint to the CRTC. Later in July, the Canadian Wireless Telecommunications Association challenged Bill 74 in a filing with the Superior Court of Quebec. The CWTA’ filing claimed that the new Quebec law was unconstitutional. Except where the Commission approves otherwise, a Canadian carrier shall not control the content or influence the meaning or purpose of telecommunications carried by it for the public. The CRTC did announce within the same statement that it had suspended, back in August, all pending procedural deadlines pertaining to the initial PIAC complaint, subject to further “procedural guidance” from the CRTC on the situation. Consistent with the above, the Commission is of the preliminary view that the Act prohibits the blocking by Canadian carriers of access by end-users to specific websites on the Internet, whether or not this blocking is the result of an ITMP. Consequently, any such blocking is unlawful without prior Commission approval, which would only be given where it would further the telecommunications policy objectives. Accordingly, compliance with other legal or juridical requirements—whether municipal, provincial, or foreign—does not in and of itself justify the blocking of specific websites by Canadian carriers, in the absence of Commission approval under the Act. The statement, signed by CRTC Secretary General Danielle May-Cuconato, was sent to the Attorneys General of all 14 Canadian provinces. The statement allows a 15-day period for comments from the provincial AG’s, ongoing since September 1st, for the filing of additional submissions on the matter. At that point, the CRTC is expected to finalize its initial opinion on the matter, barring radical developments which would require an abrupt U-turn in CRTC policy. Officials from Loto-Quebec and the province’s government have yet to issue public comment in response to what appears to be a death blow to their “Bill 74” plans. 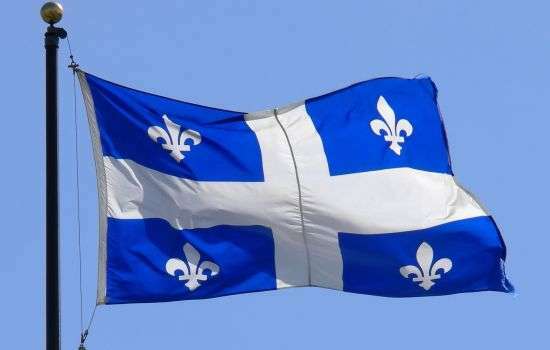 Previously, Quebec’s Finance Minister, Carlos Leitao, declared that Bill 74’s aims were necessary to ensure that online gambling sites offered responsible gaming policies.